Not too long ago, Tony Stark and James Rhodes were either dead or as close to it as anyone can get in the Marvel Universe. 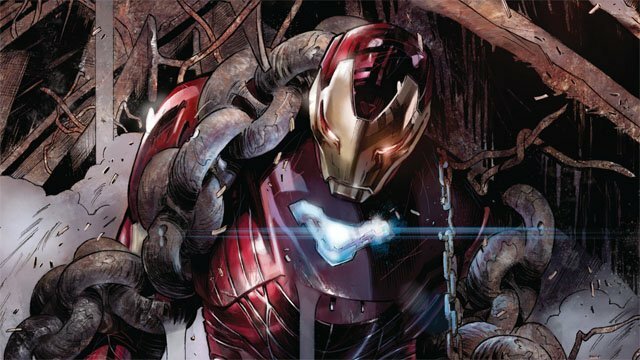 Iron Man and War Machine were down for the count, until one of Stark’s contingency plans essentially rebooted his body and he paid it forward by bringing Rhodes back to life as well. However, this wasn’t War Machine’s first brush with death, and it’s taking its toll on Rhodes in our exclusive preview from Tony Stark: Iron Man #2. In these preview pages, writer Dan Slott and artist Valerio Schiti revisit some key moments from Rhodes’ past, including his close call in outer space and the time he became a cyborg. It even flashes back to Civil War 2 when Thanos killed War Machine. The rest of the pages check in with the expanded supporting cast, including Andy Bhang, a new character created for this series. Stark Unlimited has also rehired Rhodes as a military liaison and Jocasta as “chief robotics ethicist.” Even Bethany Cabe is back as Stark’s head of security, but she’s got a secret that even she doesn’t know. The Controller has turned Bethany into his unwitting pawn, and the ultimate spy within Stark’s inner circle. For once, Stark may have been truly outmaneuvered by his long-time adversary. You can read the full exclusive preview in our gallery below. 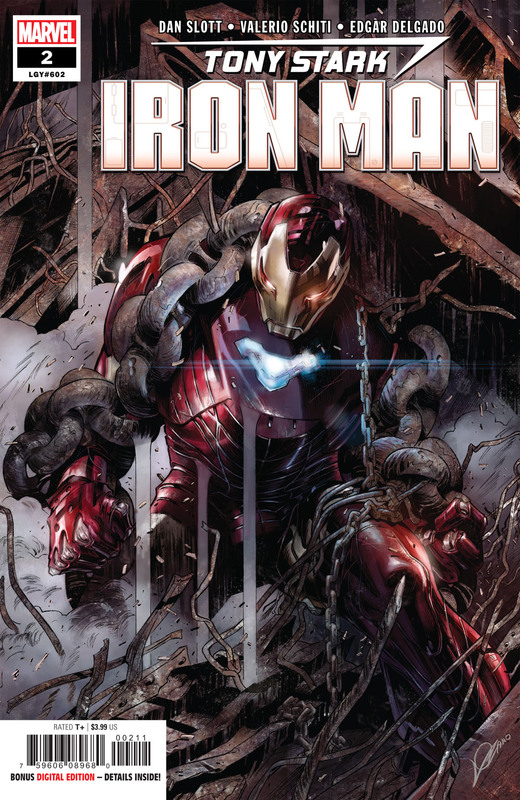 Tony Stark: Iron Man #2 will be released on Wednesday, July 18.